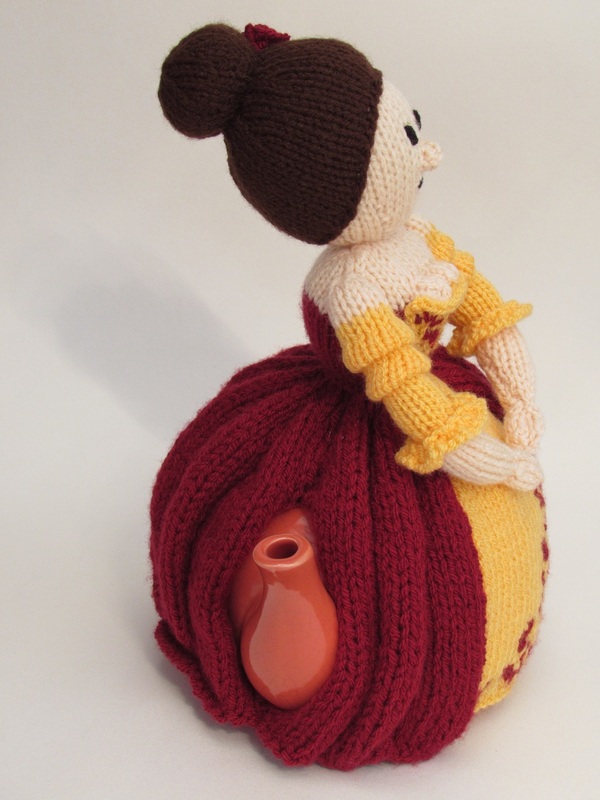 I was asked to design a lady which had this crinoline look. 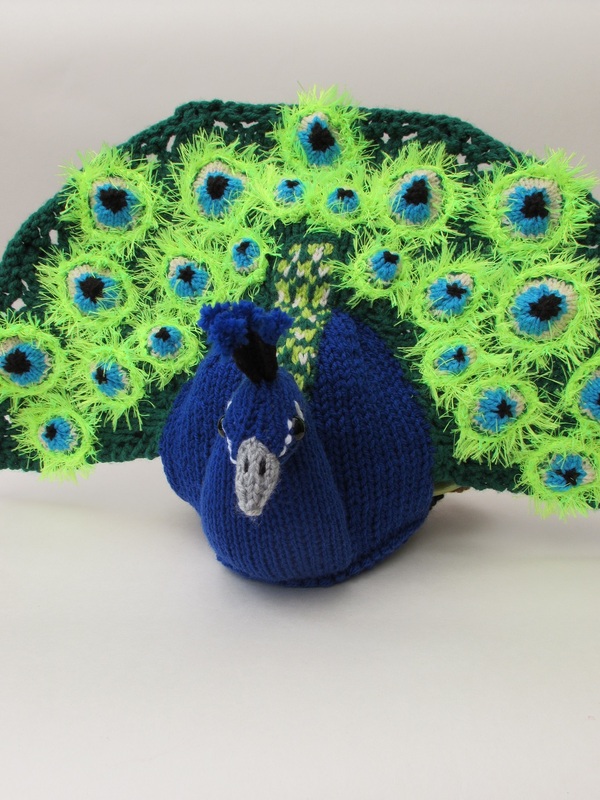 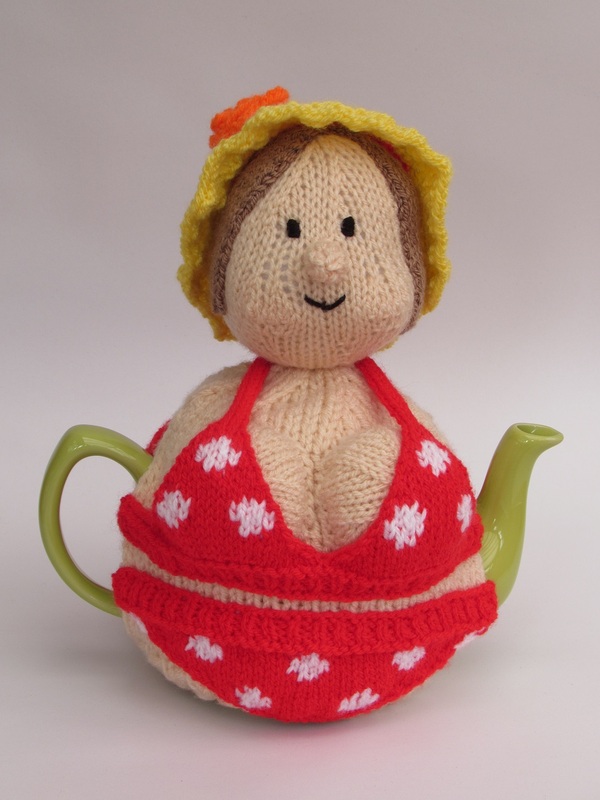 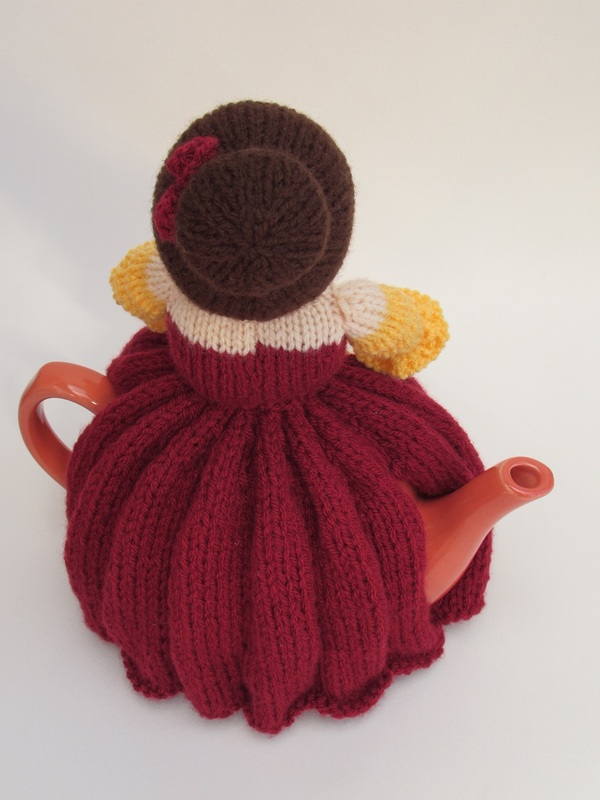 The crinoline lady tea cosy is an elegant tea cosy of a lady wearing a crinoline style dress. 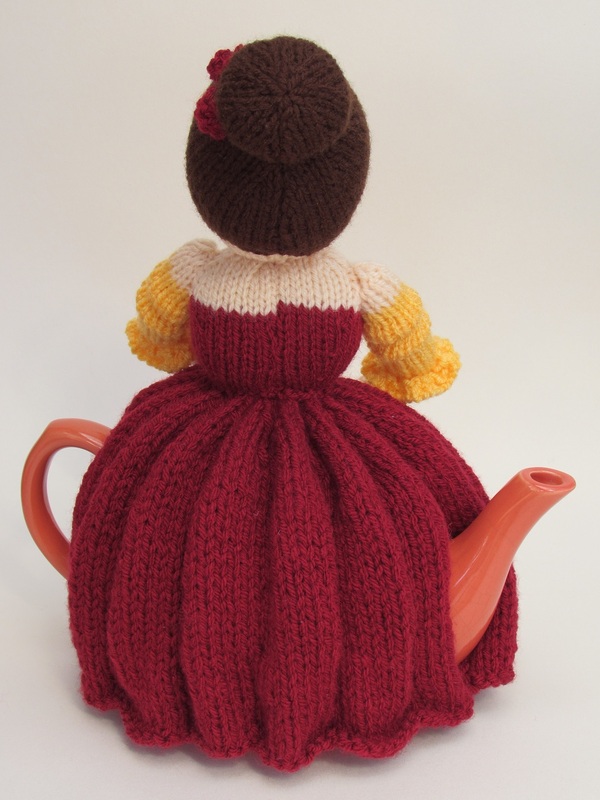 The skirt of her dress falls in pleats all around the back and sides. 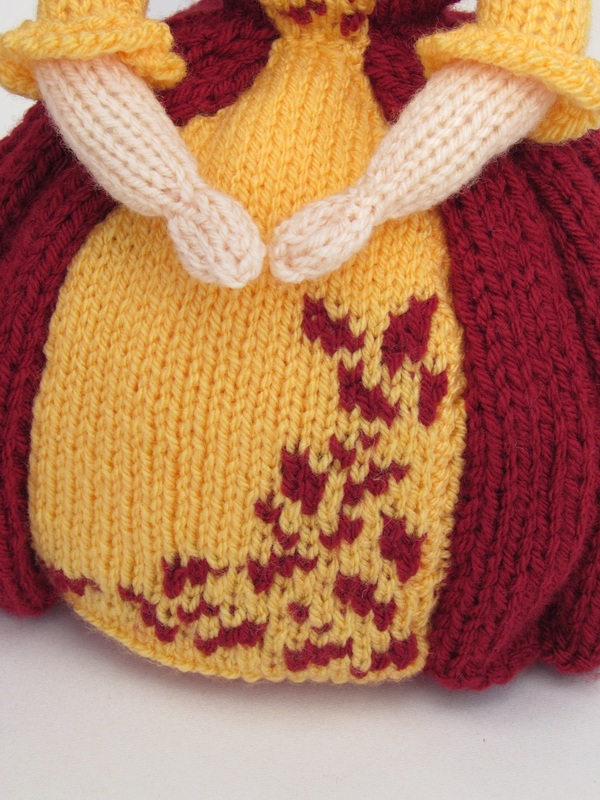 The front panel of the skirt and bodice is detailed with a leaf design which is knitted in. 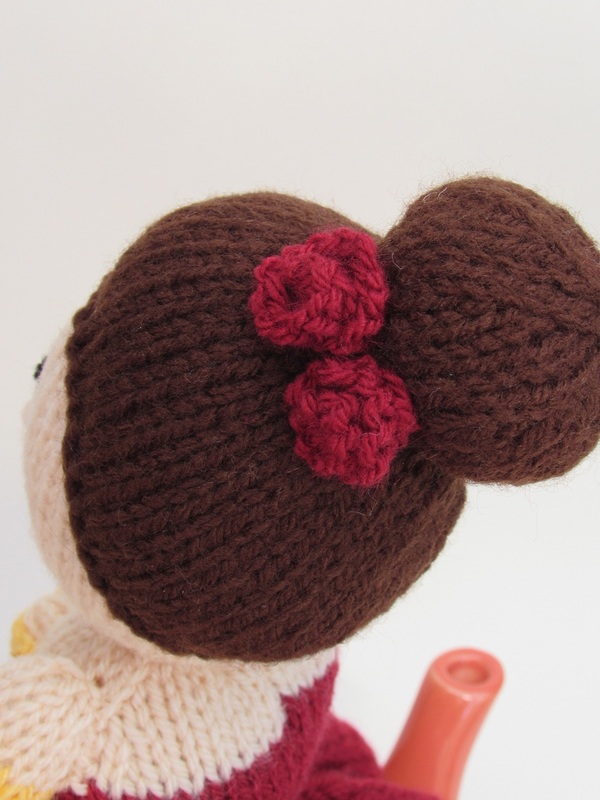 The dress is an off the shoulder style and she is wearing her hair up in a top knot which is decorated with roses. 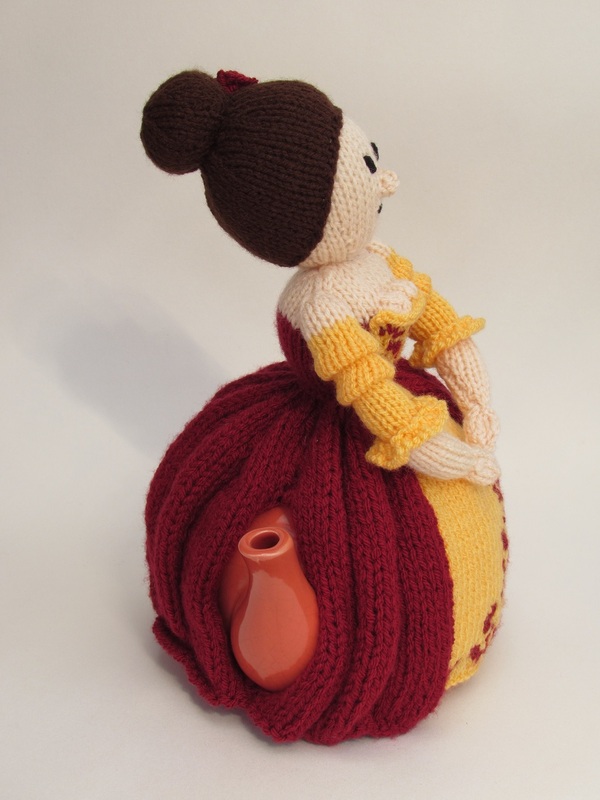 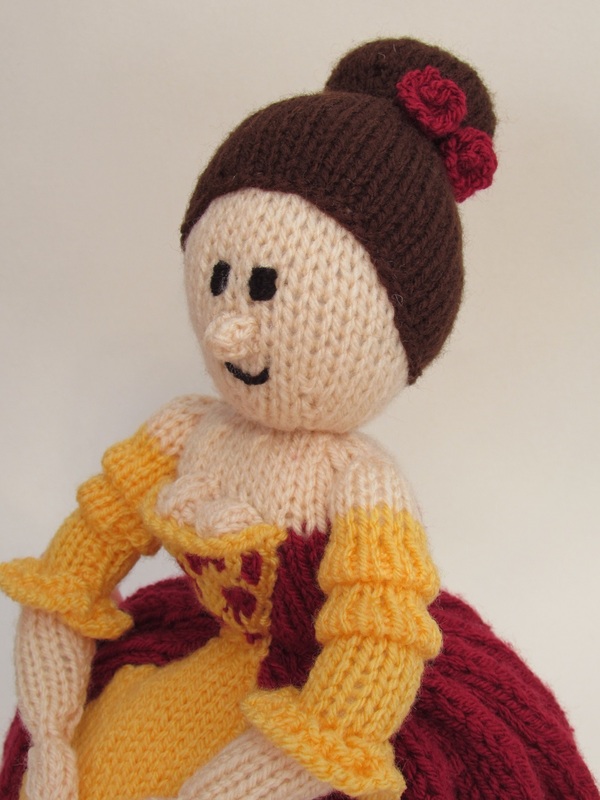 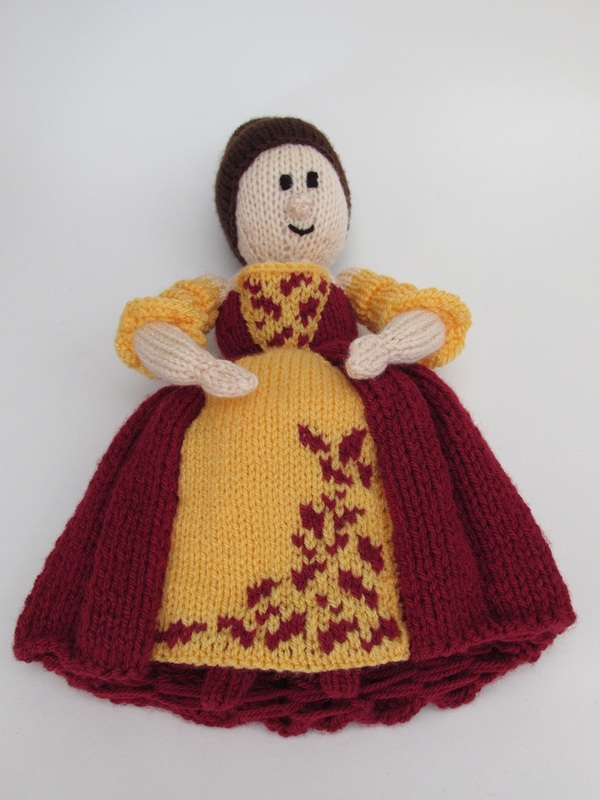 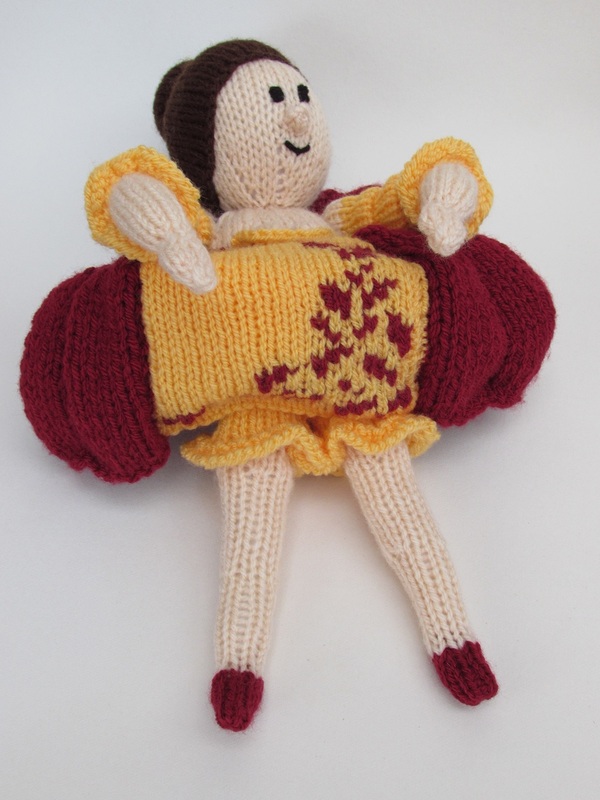 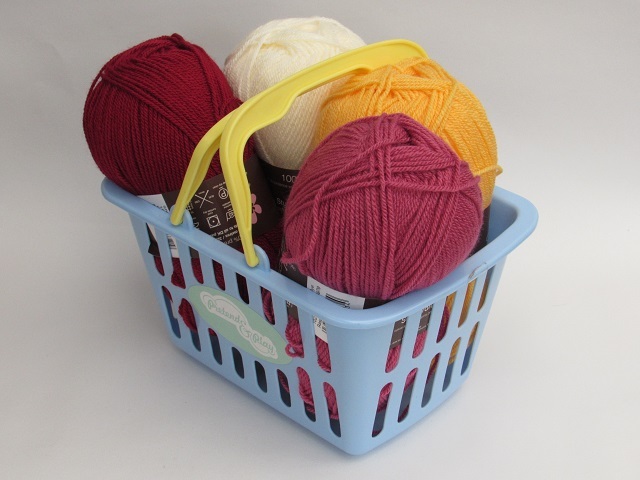 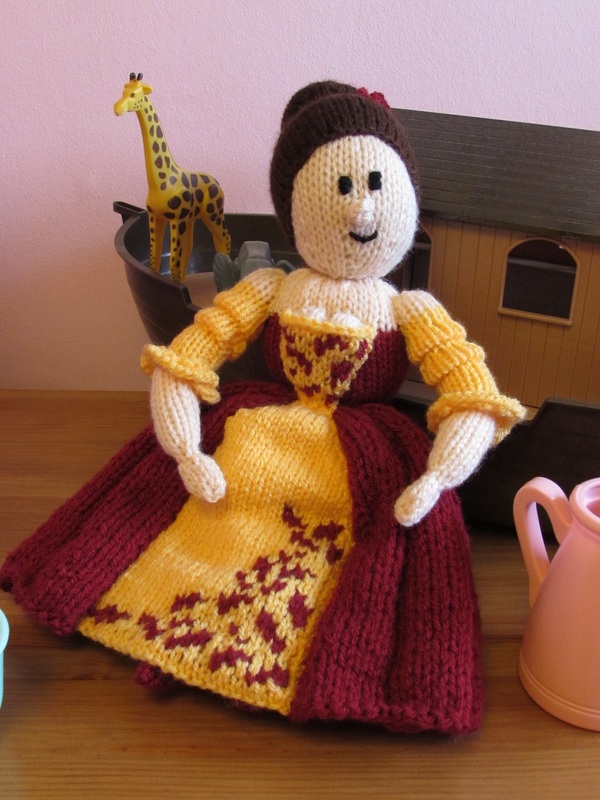 The Crinoline lady pattern calls for Stylecraft Special DK in claret and saffron, but the colours could be changed to suit any colour combination. 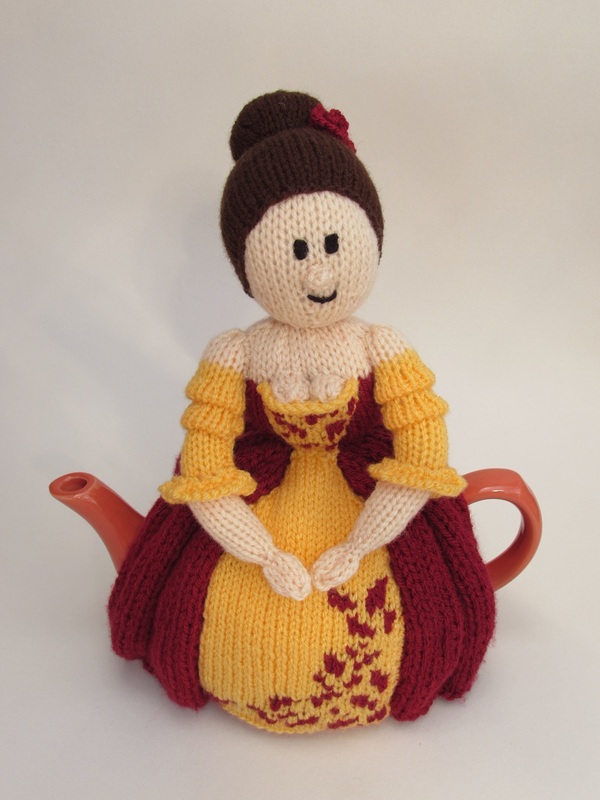 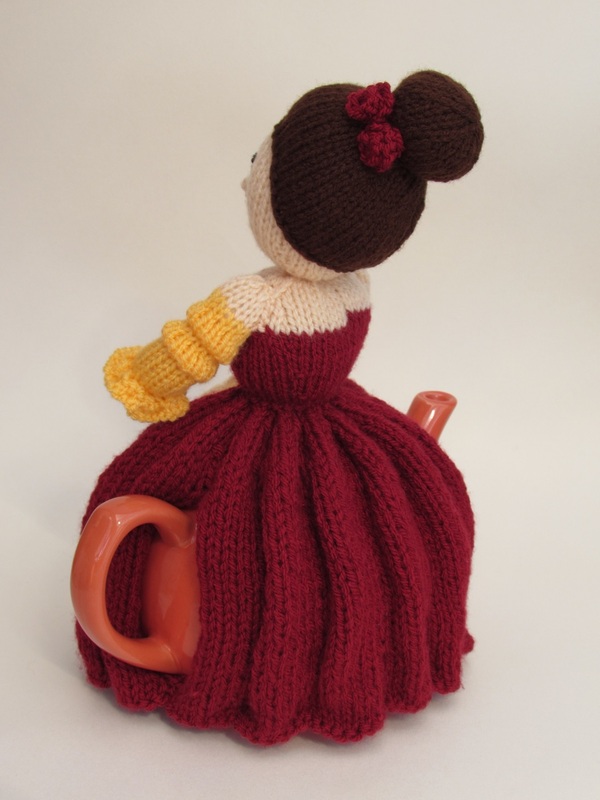 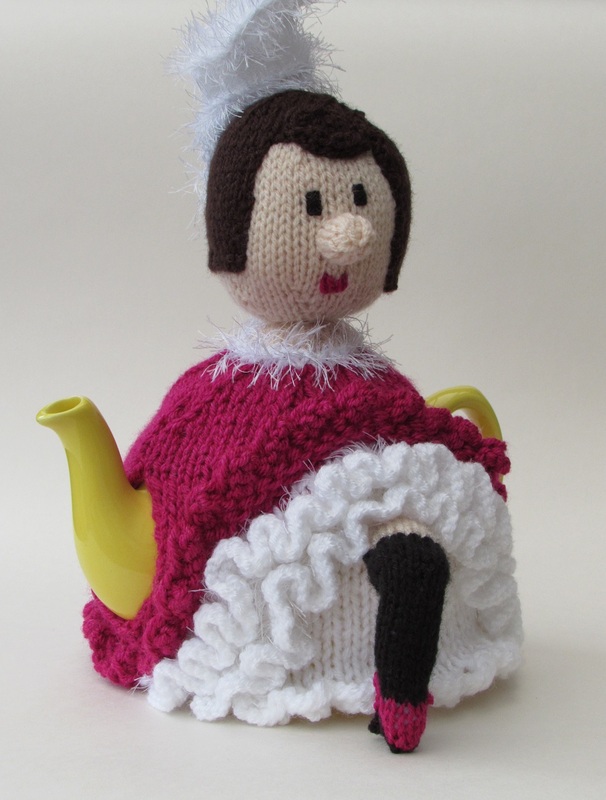 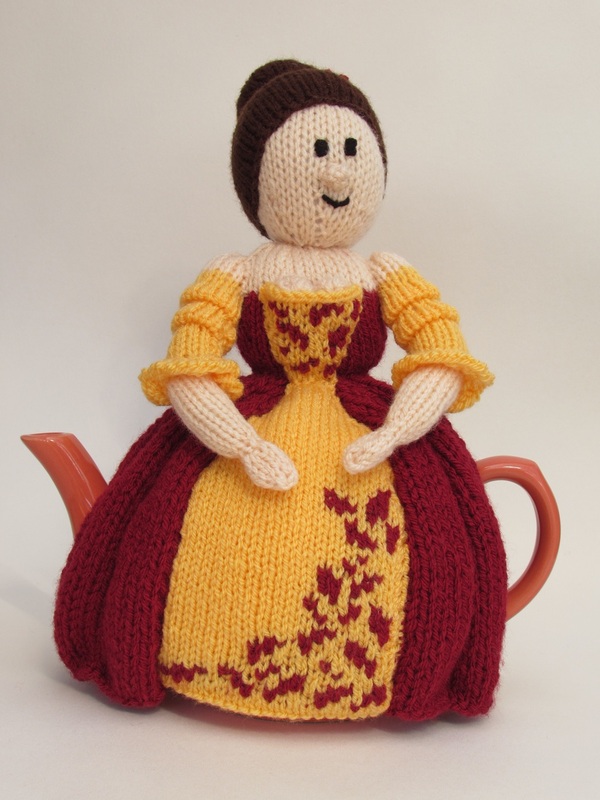 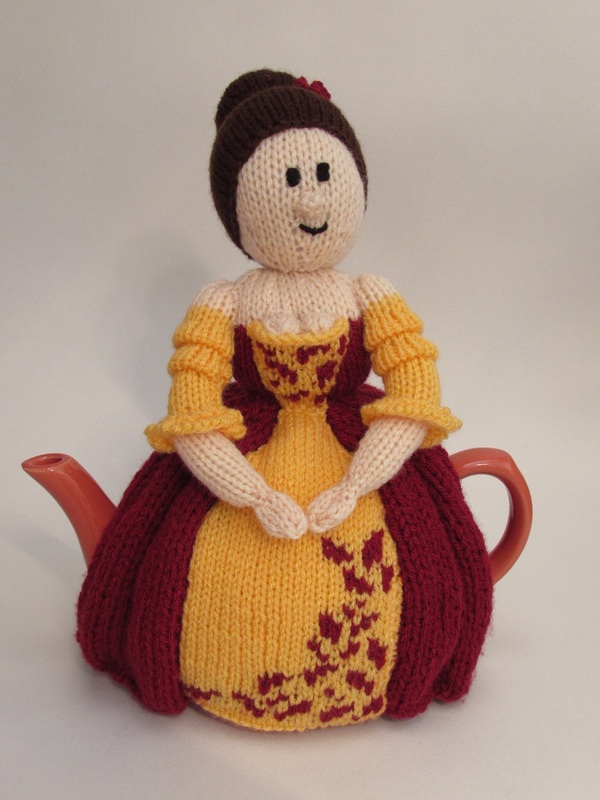 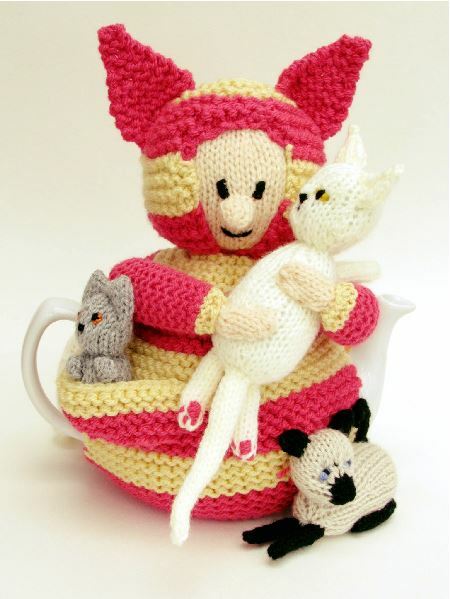 Crinoline ladies are synonymous with tea parties and drinking tea from tiny little tea cups with saucers, so it seems perfectly fitting for a tea cosy to look like a crinoline lady and echo back to a bygone era when tea time was frightfully dainty and polite.